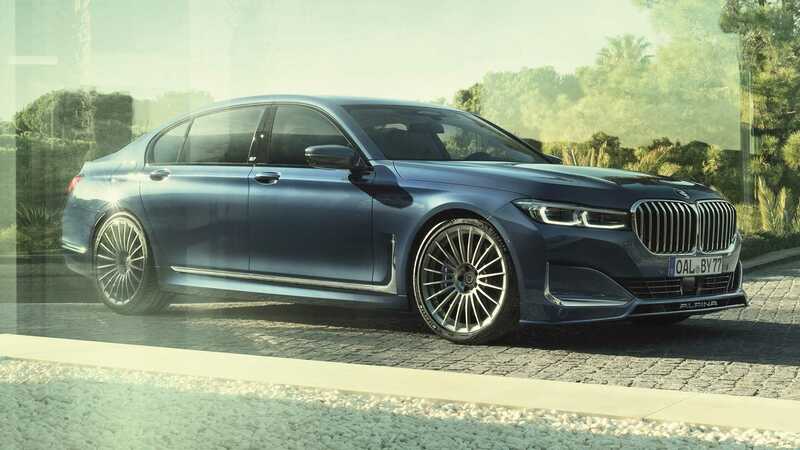 Alpina, a dedicated BMW tuner, has come out with a facelifted version of its custom B7 sedan built with the BMW 7 Series at its core. Let us have a look at the most notable differences. The main novelty comes in the form of engine tweaks. The 4.4-liter, twin-turbo V8 mill now sports an intercooler upgrade and produces 600 hp (447 kW) along with 800 Nm (590 pound-feet) of torque. The maximum torque is also now obtainable starting from 2,000 RPM, rather than 3,000 RPM like before. The company says it had to redesign the entire cooling system for the upgrade to work as intended. Another major update concerns the eight-speed automatic transmission of the flagship sedan. The new firmware reduces gear switching times in the Sport mode. Aside from the above, the car gained a lightweight exhaust system with valve-controlled sound, air suspension and rear wheel steering. Standard equipment now covers an iDrive 7 multimedia system, projection display, digital dashboard, and leather cabin upholstery. Options include entertainment displays for the rear passengers, ventilated seats both front and rear, night vision with animal/pedestrian recognition, and parking assistance. The Alpina B7 xDrive will arrive in 3Q 2019 priced at above U.S. $140,000.